Your liver performs over 500 functions including detoxification, excreting and burning fat, protein synthesis, and producing bile to aid in digestion and emulsifying fats. The liver filters, regulates and stores blood. It’s the storage site for many essential vitamins and minerals such as iron, copper, B12, vitamins A, D, E and K. The liver plays an important role in metabolism, digestion and healthy hormones, including the thyroid. The gallbladder is a pear-shaped organ that is located directly beneath the liver. The gallbladder functions as storage place for bile, a fluid made by the liver that helps to digest fats. Bile is released from the gallbladder, and mixes in the stomach and intestines as food is broken down through digestion. The gallbladder functions to process cholesterol, clean all tissues, helps digest fats, and enhance brain function. The gallbladder’s job is dependent on a healthy functioning liver (it’s paired organ) ensuring a smooth flow of Qi (energy). The Standard American Diet of fried foods, sugar, fructose, grains and processed junk foods cause bile to become saturated with cholesterol triggering cholesterol to form solid crystals, accumulating into stones. A sluggish, congested liver is often associated with gallstones. Nearly 500,000 gallbladders are removed annually! Many doctors recommend gallbladder removal when gallstones are present, however please be informed: gallbladder removal comes with consequences and serious health complications can arise including brain fog, hormone imbalances, brittle hair, dry skin, several nutrient deficiencies, weight gain, loose stools, impaired digestion and more. Surgery is not a walk in the park either with 40% of post cholecystectomy patients still having symptoms of nausea, pain, gas, bloating, IBS, scarring, and food sensitivities and food intolerance afterwards. Once the gallbladder is removed, the ability to store bile in the gallbladder is lost, and bile continually flows through the bile ducts into the small intestine. The ability to emulsify, digest and absorb dietary fat is drastically reduced when the gallbladder is removed placing more stress on the liver. 99.9% of all gallbladder attacks are caused by food sensitivities. Those with gallbladder dysfunction (including those who have have had their gallbladder removed) tend to have food sensitivities to eggs, casein, dairy, soy, onions, pork, wheat and gluten, and do best avoiding these items. 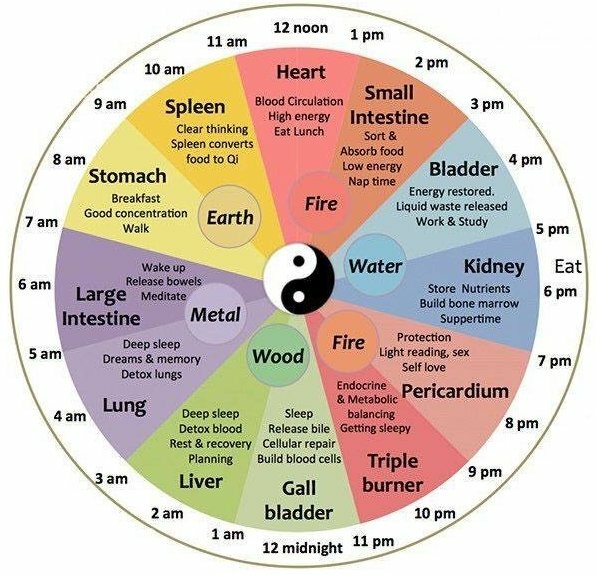 According to traditional Chinese medicine (TCM), specific organs have a two hour time period when the Qi (energy) is at its peak in that meridian. The gallbladder meridian is most active between the hours of 11 p.m. and 1 a.m. The liver meridian is most active between the hours of 1 a.m. and 3 a.m. Consistently waking during these hours may be an indication that the gallbladder or liver is out of balance. When the energy of a meridian is not flowing well due to a block such as unhealthy eating, toxic overload or stress, you’ll experience a sign or symptom from the meridian(s) involved. Hormonal imbalances, specifically thyroid dysfunction and estrogen dominance. Is Your Liver Congested? Diabetes, viral infections of the liver (hepatitis), alcoholism, overeating, undernourished and malnourished, exposure to chemicals, heavy metal toxicity, obesity, recreational, OTC and prescription drug use, consumption of fructose and trans fats, repressed anger and chronic stress impact liver function. As you can see from the lengthy list above, the healing protocol will vary depending on each individual’s unique biochemistry. Nonalcoholic fatty liver disease (NAFLD) is the most common chronic liver disease in the U.S. One-third of the population suffers from NAFLD, and many are completely unaware of it. (Polyzos et al 2010, Schuppan et al 2010, Younossi 2008). It’s estimated that 70–80% of obese individuals have NAFLD. NAFLD is a condition in which fat accumulates in the liver cells in individuals with minimal or zero alcohol intake. It often goes undetected for years, and may eventually progress to liver inflammation, cirrhosis, liver cancer or full-blown liver failure. The liver is involved with digestion, the hormone system, blood sugar regulation, protein and fat metabolism. Many metabolic issues stem from liver dysfunction. When the liver becomes overloaded, congested and damaged, it’s ability to detox is compromised. If you wake up consistently during the night at the same time, or become exhausted at the same time every day in the afternoon, look at the meridian that’s active during that time. The emotions that corresponds with the liver and gallbladder meridian include frustration, anger and resentment. Deep-seated anger increases risk of heart attack by 230 percent! (Mittleman et al, Circulation, 1995, vol 2). The liver is the most emotion sensitive organ and its weakness is often connected to emotional sensitivity. The key responsibilities associated with the gallbladder and liver are decision making, determination and action. The liver controls ability to plan one’s life, while the gallbladder controls the capacity to make decisions. 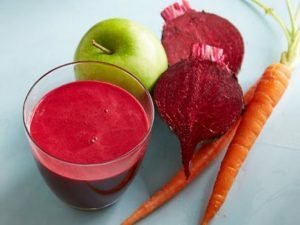 Nourish your liver with a liver-lovin’ smoothie: blend beets, apple, lemon (with the rind) carrots, bitter greens such as arugula or dandelion greens, ginger and turmeric. Add some form of protein and fat such as avocado or coconut oil, which will increase nutrient absorption. Adequate protein from clean pasture-raised animals. Amino acids derive from protein-rich foods such as grass-fed meat, free-range pastured poultry and egg yolks are a primarily fuel source for the liver that metabolize amino acids to encourage detoxification. Include more nutrient-dense cruciferous veggies in the brassica family (broccoli, cauliflower, broccoli sprouts, kale, collards, cabbage and Brussel sprouts) in your diet to reduce circulating estrogens and help the liver get rid of accumulated toxins..
Start your day with a cup of lemon or lime water. In a cup of water, add the juice of a fresh lemon, one tablespoon of apple cider vinegar, a pinch of Celtic sea salt, ginger, cinnamon and cayenne pepper. Proper hydration is essential to liver health. The addition of fresh lemon stabilizes blood sugar, creates an alkaline environment and supports healthy liver function. Protect your liver and enjoy your morning cup of coffee, which may help to reduce risk of liver cancer. Sip on a cup of dandelion root tea every day. Dandelion is a natural liver tonic and a gentle diuretic that is high in potassium. Use a daily detox powder to support healthy liver function…a couple of my favorites are ProtoClear, NutriClear and Mediclear SGS. Coconut oil is easily digestible and does not require the liver or gallbladder to digest or emulsify it. Other healthy fats such as olive oil, macadamia nut oil, avocados, coconut butter and high-quality fish oil help repair the liver. Those who consume at least 5 oz. of raw, organic nuts per week have a 25% lower risk of having a cholecystectomy compared with women who rarely or never ate nuts. Curcumin, the main active ingredient in turmeric supports healthy liver function. Yoga stimulates, regulates and enhances liver/gallbladder function through its combination of physical postures, breathing techniques and meditation. Keep your liver healthy with these smart and simple detox tips that are safe enough to do every day. Sleep deprivation inhibits efficient fat metabolism and increased fat accumulation; predisposes the liver to oxidative stress, phospholipid damage and increases risk of fatty liver disease. As a society, we’re chronically sleep deprived and many underestimate the value of restful, uninterrupted sleep not only for a healthy functioning liver, but also for fat loss, hormone balance, brain, mood and memory function, and overall health. A healthy liver is responsible for the delicate balance of hormones, healthy thyroid function and correcting estrogen dominance. Consider the healing benefits of chiropractic, acupuncture and acupressure. Chiropractic manipulation can help to increase bile flow. Stimulating certain reflex points can help normalize the flow of bile, even if your gallbladder has been removed. Stimulate and massage these areas daily: the web of skin between the thumb and index finger on the right hand, the bottom of the right foot in the mid-area is the reflex point for the small intestine and the rib cage on the right side. Apply castor oil packs on right side of abdomen two to three times per week. Digital detox. Unplug and turn off electronics two hours before bedtime. Reduce exposure to EMFs. Spending a lot of time on the internet, playing video games, texting and constantly checking email via our smartphones and iPads creates an agitation in our bodies that quickly causes liver stagnation. Avoid Rx drugs, antacids, OTC drugs, anti-inflammatory and pain meds, which are toxic to the liver. Keep in mind: Acetaminophen (Tylenol) induced liver damage caused 54% and 16% of the cases of acute liver failure in the United Kingdom and United States, respectively. Use natural skincare products or make your own with a few simple ingredients. The average woman puts several hundred chemicals on her body every day, which compromises the lymph and liver. Chinese medicine reminds us that the emotions of an unhappy liver and GB are anger, frustration and resentment. Embrace and engage in a process of emotional healing. Avoid NSAIDs, plastics, thermal receipts, pesticides and exposure to other chemicals as much as possible. Elevated liver enzymes (indicating liver cell damage) were found in those with elevated BPA levels and subject who took NSAIDs. Taking Tylenol after drinking alcohol is a deadly combo for the liver and the kidneys. Rule out underlying viral infections such as Epstein-Barr, CMV, hepatitis, herpes and HPV. Monitor liver function with annual blood tests to detect elevated values (AST, ALT, GGT as well as triglycerides, iron, ferritin), digestion and immune markers. Daily bowel movements are crucial for a healthy functioning liver and gallbladder. Constipation causes toxins to accumulate and stress the liver. As with all nutritional support, it’s not a one-fits-all approach. Schedule a consultation to determine your personal protocol unique to your biochemistry. Bile support: Beta-TCP (a source of certified organic whole beet, taurine, vitamin C and pancrealipase) is especially beneficial for those who burp up fish oil, have trouble digesting fats, or have thick, sticky, congested bile. If the gallbladder has been removed, use Beta-Plus instead of Beta TCP. Livotrit Plus is an herbal prep with silymarin (milk thistle), which increases antioxidant status, protects the liver, supports detoxification, chelates excess iron, lowers ferritin and has anticancer potential. Livotrit Plus should always be used with Beta-TCP or Beta Plus. Essential fatty acids (Omega-3s). 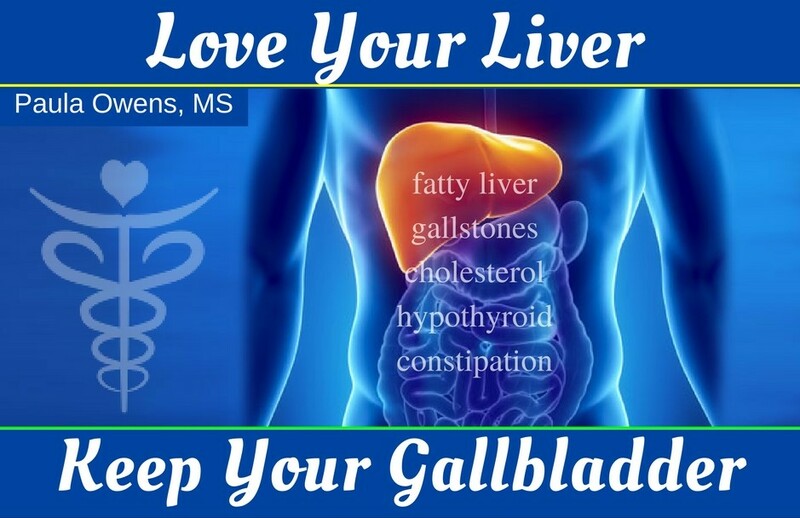 According to Jonathan Wright, M.D., if you have gallstones, 11gm/day of fish oil lowers cholesterol saturation of bile by 25%! Nutrient and supplemental support. As with all nutritional support, it’s not a one-fits-all approach. Schedule a consultation to determine your bio-individualized nutrient protocol unique to your biochemistry.